When aligning warehouse and distribution centre logistics with business strategies, it pays to be as efficient as possible. US-based Dematic’s Ken Ruehrdanz, manager, distribution systems market, talks to TW. Automated storage and retrieval system (ASRS) stages pallets automatically in a high density, compact footprint. With an ever increasing demand for finished and jumbo roll tissue products, the global tissue industry is increasingly having to invest in more efficient ways of optimising its warehousing and distribution centres. To make this as efficient as possible, there are a core set of components that need to be taken into account when a company is aligning its warehouse and distribution centre logistics with business strategies. These 10 strategies are created from proven conclusions that are aimed at eliminating non-value adding activities and which address the business drivers that are most important to a company. They can bring an organisation’s logistics strategy into alignment with business strategy and help provide a competitive edge in your market sector. Depending on the size of the operation, a significant portion of an order picker’s time is spent traveling between picks. Deploy methods that reduce travel time, condense the pick face and allow staff to work smarter. Potential solutions include: flow rack, optimised flow paths, dynamic slotting. Consider methods that manage the flow of materials for faster, more efficient order assembly and consolidation. Only send order containers to the zones where picking activity is required. Potential solutions include: zone route conveyor networks and pick carts. By grouping and concurrently picking SKUs (stock keeping units) for multiple orders, the order pickers become more productive. The order picker does not need to revisit the same location over and over. Pick multiples of each SKU in one pass and sort to orders. Potential solutions include: pick carts, pick to tote and sort. Instead of the pickers going out into the warehouse to locate and pick split case items, consider systems that bring the inventory to the picker who remains in one location. Potential solutions include: goods to person pick stations supported with automated staging system for inventory. As an alternate to pickers going out into the warehouse to locate and pick cases, consider systems that bring the cases directly to a palletiser. Release cases in the best sequence to build pallets. 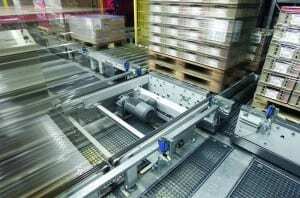 Potential solutions include: automated case buffer system with semi-automated palletising. As portions of customer orders are picked, the items or cases could be consolidated into a buffer storage system as a method of optimising the process. Furthermore, there may be a need to organise the contents of each order into a sequence. Potential solution: automated staging system. Operator picks cases using voice directed wearable device with headset. By making the SKU that you don’t pick become the SKU you pick, you essentially pick one and get one for free. Example, transfer five cases from on pallet to create an order thereby creating another order with the remaining cases. Potential solution: negative pick software. Optimise picking activity with layer picking methods. Get more order assembly faster with less labour. Potential solution: layer picking robots. Determine if the case assembly process for mixed case palletising is efficient. This complex process can be streamlined with semi-automated or automated systems. 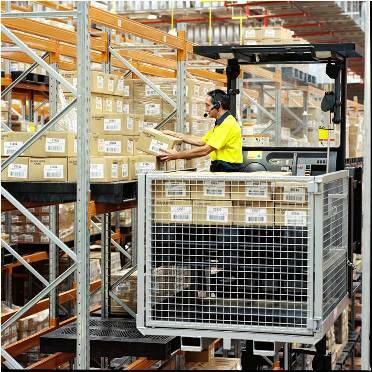 Potential solutions: staging buffer system linked to ergonomic palletiser systems, case pick and sort. Make sure you get rid of the paper and operate with real time systems. Gain visibility, obtain real time operational status and monitor labour productivity. Potential solutions: warehouse control system software, dashboards, voice and light directed activities. Ken Ruehrdanz is manager distribution systems market at Dematic, which designs, builds and supports logistics solutions that optimise material and information flow. 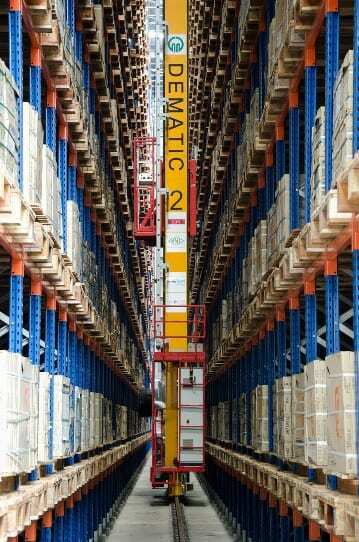 Share the post "Distribution Special: 10 strategies to optimise warehouse operations"